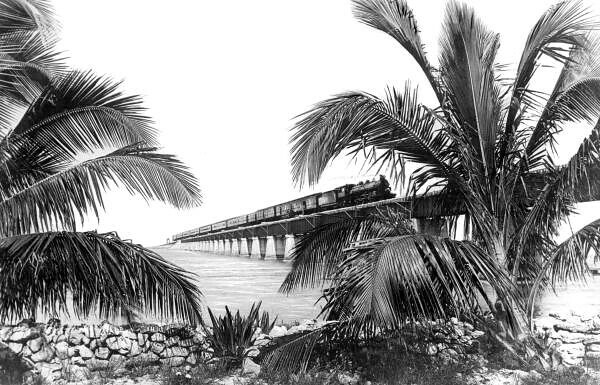 I’ve been trying to figure out how to determine the train route my great-grandmother and the 4 youngest of her 11 kids took in 1918 when she decided she had had enough of living west of the Pecos River in Texas and would join a married daughter in Ft. Lauderdale, FL. Her life, I presume, must have reached the metaphorical train wreck stage to have made such a radical move. 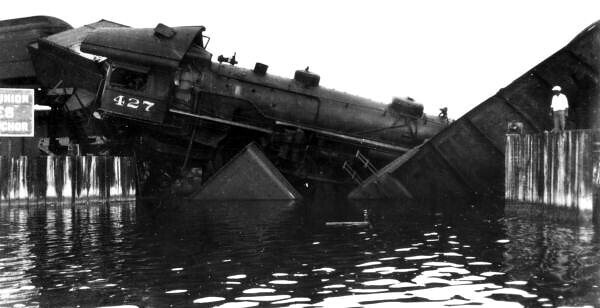 Looking through the State Library and Archives of Florida collection in the Flickr Commons, I was surprised by how many images in the Scenes from Florida Railroad History set featured train wrecks. No one, it seems, can help but look. 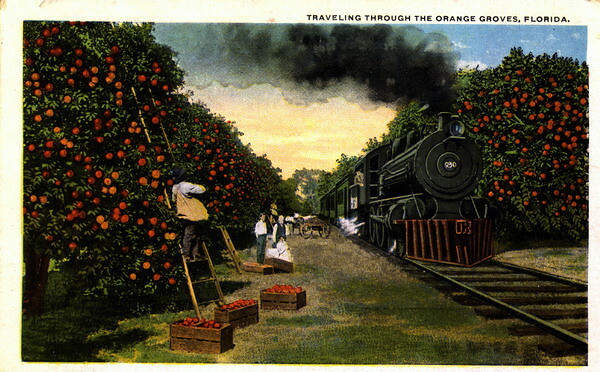 But first I suppose this was the ideal, a engine blowing coal smoke into the orange groves. 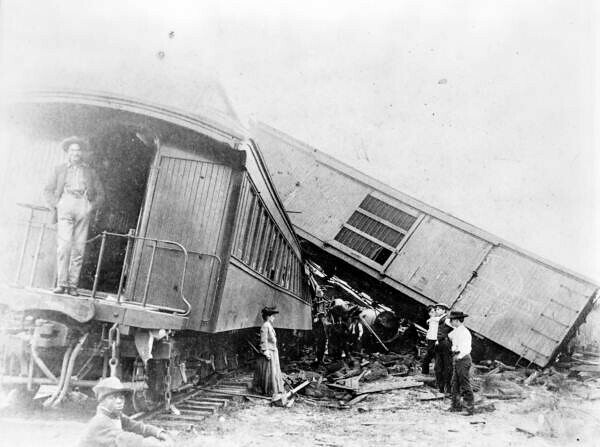 Date is estimated as being in the 1910’s. As we enter the most active part of hurricane season in South Florida, consider the problem of evacuating the Florida Keys or rescuing survivors. 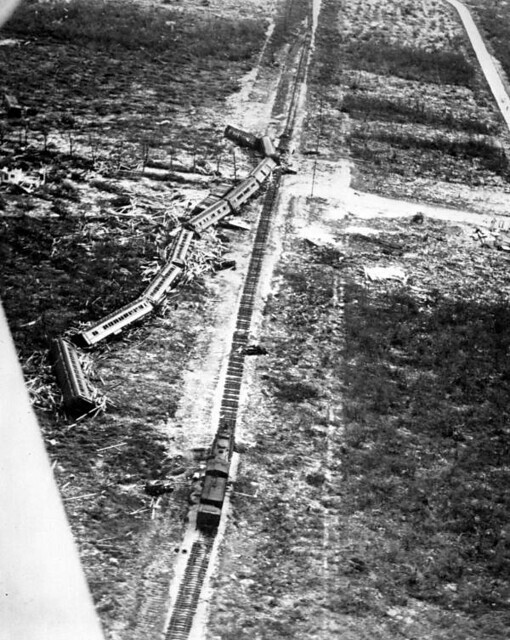 Rescue train swept off the tracks by the 1935 Labor Day hurricane, Sept. 5, 1935. This is a mess. 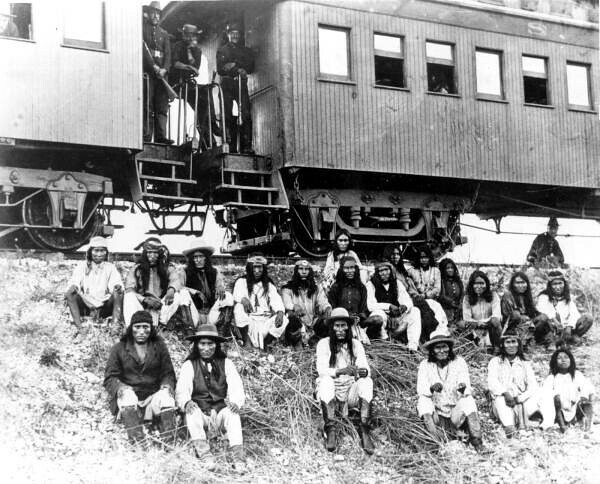 And I can’t figure out how it is possible that the guy standing on the rear of the train car looks so much larger than those on the ground. 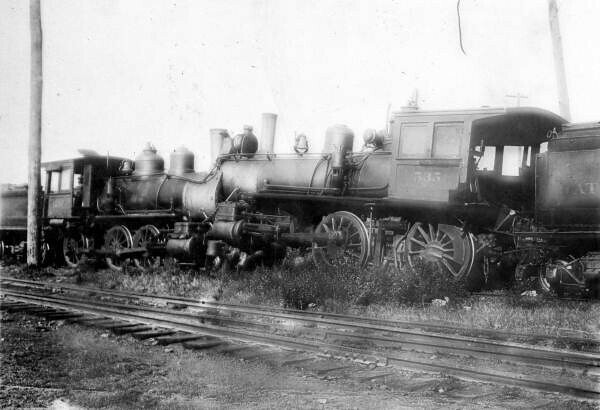 This entry was posted on August 15, 2013 at 8:52 pm	and is filed under Flickr Commons, Historical, Places, Transportation. 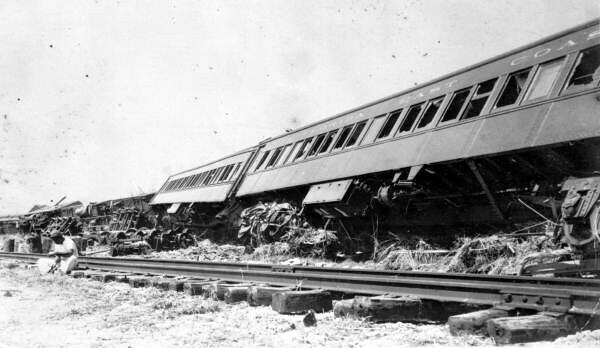 Tagged: 1935 Labor Day hurricane, Flickr Commons, Florida East Coast Railway, Florida Railroad History, Geronimo Apache train Florida, Overseas Extension bridge, Seaboard Air Line Railway train wreck 1905, State Library and Archives of Florida. You can follow any responses to this entry through the RSS 2.0 feed. Both comments and pings are currently closed.